If you’re thinking about making energy efficient improvements to your home, one major area to consider is your roof. Believe it or not, “greening” your roof can help lower your energy bills considerably and make your home much more comfortable to live in. 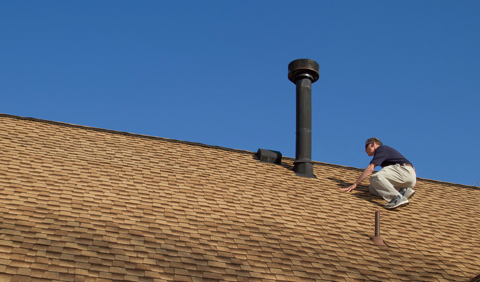 Here are three things to keep in mind when making your roof energy efficient. Now when we say cool roof, we don’t mean creating a whole new funky look for your roof (although you’re free to do that too, if you like!). What we’re talking about are roofs that are cool in the sense of color and temperature. Lighter colors and materials help reflect heat and light away from the roof instead of absorbing them. A dark roof conducts absorbed heat down into rooms below, making your home hotter and forcing your air conditioning to work harder. Results are a less comfortable home and a higher energy bill. Paint a cool roof coating onto your existing roof. 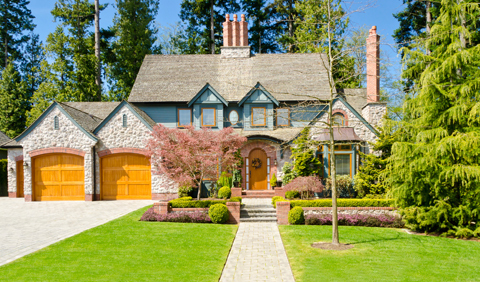 Replace shingles or asphalt with lighter-colored versions. Consider replacing your current roofing with energy efficient roofing materials. 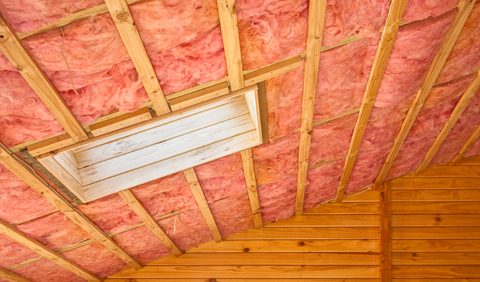 A key element to keeping your roof cool is insulation. While many people insulate their attics, they forget about insulating their roofs as well. However, insulating a roof can be tricky to get right, so it’s best to work with a certified RESNET home energy professional when you’re doing it. 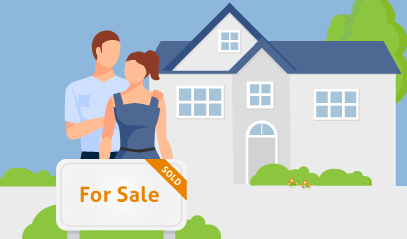 A poorly insulated roof needs more air conditioning in summer, and more heating in winter. That means higher energy bills all-year round and an attic that is virtually uninhabitable. The kind of insulation you choose should depend on the type of house you have, and the climate in which you live. Regardless of the type of insulation you choose, leave an air space between the insulation and the roofing material. Ideally, you don’t want to be re-roofing your home 15 years down the road again, so it only makes sense to make sure that you are using the right materials to ensure your roof is long-lasting and energy efficient. By choosing the right material, whether it’s metal, tile, asphalt, concrete or wood, you save a significant amount on your energy bills. Again, a certified RESNET home energy professional can advise you on how to make your roof both energy efficient and sustainable.